Tomorrow we leave to begin our 8th annual Legacy Genealogy Cruise, this year to New England and eastern Canada. About 200 of us will cruise together, departing from Cape Liberty Cruise Port, New Jersey and visiting Portland, Maine; Bar Habor, Maine; Saint John, New Brunswick; Halifax, Nova Scotia; and Boston, Massachusetts. We will sail on Royal Caribbean's Explorer of the Seas. 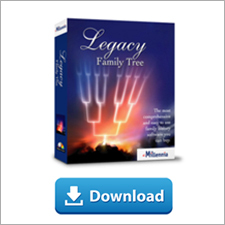 We've also got 15 hours of personal Legacy and genealogy instruction from six different instructors, including webinar-favorite, Thomas MacEntee. Speaking of Bar Habor, Maine - I've just realized that I have four generations of ancestors within an hour's drive of this port. Can you guess what I'll be doing here? I'm sure my wife is as excited as I am to visit these cemeteries on her vacation. I'm still trying to decide if I will post daily updates to this blog - cruising is very hard work with so little time to relax and write. :) I'm leaning towards adding photos to our Facebook page at www.Facebook.com/legacyfamilytree. I hope you'll follow us there. Our sincere thanks go out to our entire technical support and sales staff who will continue to provide sales and support services while we are away. Thanks Jim, Sherry, Brian, Ron, and Sarah for keeping us going! And for the first time, I can't wait for this cruise to end - because it means I'm that much closer to our November 2 webinar where Marian Pierre-Louis will announce the identity of and how she found the parents of my ancestor, Nathan Brown. That's right, this is the Brown family that you all know so well through this blog. And she won't even give me any clues until the webinar - you will find out at the same time I do. I hope you'll register for the webinar to enjoy the moment with me as one of my brick walls is solved. 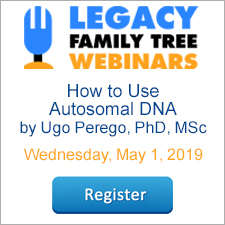 Visit www.LegacyFamilyTree.com/webinars.asp to register (free). And of course, I'm looking forward to our two other October webinars: Uncovering Your Irish Family History by Jennifer Geraghty-Gorman and Let Your Voice Be Heard in the Digital Conversation by Drusilla Pair. Thinking about next year's cruises already? From May 12-21, 2012 we will cruise Norway, France, Ireland, England, and Scotland. And from May 21-27 we will cruise the Norwegian fjords and Denmark. Visit http://www.legacyfamilytree.com/CruiseInfo_2012.asp for all the details. FamilySearch Records update: New Collections for Brazil, Canada, Cote d'Ivoire, Czech Republic, Ecuador, and U.S.
Google+ is now open to everyone. In our Google+ the Next Big Thing webinar last month, we explained that to join Google+ you had to receive an invitation from someone who was already a member. We sent out hundreds of invitations. Now, visit http://plus.google.com to join. Still not sure? Watch our preview of Google+ here. Once you're signed in, click on the Circles button at the top, then click on Find People. Add as many people as you'd like to your circles. By the way, I'd love to be in your circle! But when you search for "Geoff Rasmussen", choose the one with "Legacy Family Tree" under his name. Funny, I didn't know there was another "me" out there. FamilySearch.org added millions of records this week including 11 new records collections. More than six million Hungary Catholic Church records were added, as well as four million Mexico civil registration records. Looking for records from China? Over a million new Chinese genealogies from 1500–1900 are now available for viewing. Begin searching for free at FamilySearch.org. Canada, Quebec Notarial Records, 1800–1900 0 1,448 Added browsable images to existing collection. Canada, Saskatchewan Judicial District Court Records, 1891–1942 0 76,779 New browsable image collection. Chinese Genealogies, 1500–1900 0 1,361,018 Added browsable images to existing collection. Colombia, Catholic Church Records, 1600–2008 0 139,324 Added browsable images to existing collection. Hungary Catholic Church Records, 1636–1895 6,680,010 0 Added index records to existing collection. Mexico, Colima, Civil Registration, 1860–1997 0 225,991 New browsable image collection. Mexico, Durango, Civil Registration, 1861–1995 0 1,042,146 New browsable image collection. Mexico, Michoacán, Civil Registration, 1859–1940 0 1,324,849 New browsable image collection. Mexico, Nayarit, Civil Registration, 1868–2001 0 422,997 New browsable image collection. Mexico, Querétaro, Civil Registration, 1864–2005 0 620,745 New browsable image collection. Mexico, Sonora, Civil Registration, 1861–1995 0 742,272 New browsable image collection. Poland, Roman Catholic Church Books, 1600–1950 0 61,104 Added browsable images to existing collection. U.S., California, San Mateo County Records, 1856–1967 0 25,561 Added browsable images to existing collection. U.S., Illinois State Census, 1865 380,262 12,090 New index collection. U.S., Illinois, Northern District Naturalization Index, 1840–1950 1,491,586 0 New index collection. U.S., Louisiana, First Registration Draft Cards, compiled 1940–1945 0 82,873 Added browsable images to existing collection. Louisiana, Second Registration Draft Cards, compiled 1948–1959 0 77,817 Added browsable images to existing collection. U.S., Maryland, Probate Estate and Guardianship Files, 1796–1940 0 457,444 Added browsable images to existing collection. U.S.,Minnesota, County Birth Records, 1863–1983 0 27,372 New browsable image collection. Montana, Cascade County Records, 1888–1945 0 17,734 Added browsable images to existing collection. New York, County Marriages, 1908–1935 217,649 63,376 Added images and index to existing collection. Washington State County Records, 1885–1950 0 88,487 Added browsable images to existing collection. Washington, Seattle, Passenger Lists, 1890–1957 0 366,615 New browsable image collection. Virgin Islands US, Church Records, 1849–1950 0 5,018 Added browsable images to existing collection. This looks quite interesting. I haven't given it a try yet on my Droid X smartphone, but intend to soon. A new smartphone app is connecting families with previous generations like never before. Earlier this month, the free RestingSpot smartphone application became available to the public. Designed for the iPhone and Android platforms, RestingSpot uses GPS technology to locate and preserve a loved one’s final resting place on earth. Once a location is added via the mobile app, a linked profile is instantly created on the RestingSpot website (www.restingspot.com). Each RestingSpot webpage contains the person’s exact location, down to the precise GPS coordinates within the cemetery, and becomes a virtual home where family and friends can connect and share on birthdays, anniversaries and other meaningful holidays and events. The RestingSpot goal is to map every location in the United States by Memorial Day, 2013. I love my webcam. I use it with Skype and Google+ to video chat with my friends, family, and coworkers for free. Webcams are not just for the tech-savy anymore. Bruce (age 86) and his wife Esther (age 79) Huffman of Beaverton, Oregon are Internet newbies, whose grandchild helped them get going. As this story points out, late last month the couple sat down together and tried to figure out how to make a video with their webcam. What they didn't know was that their first experience would turn them into instant YouTube celebrities. It's only three minutes, but it is hilarious. Watch it below. Now I wish someone would figure out how we could video chat with our ancestors.